the main trunk is becoming quite thick, these smaller ones are about halfway up. One of these broken off and planted will soon grow, I gave one to a neighbour. Even a leaf pulled off and planted, or one that has dropped off, will grow roots and eventually form a new plant. this is the green pot with my three tiny new rhubarbs. The fourth crown appears to have died. 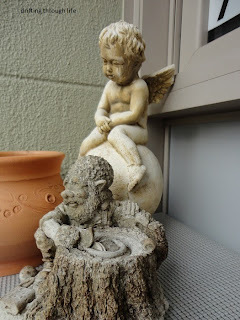 up on the table, my angel and lucky leprechaun are watching over the porch. I love your jade - and you have inspired me to try again. And I must investigate the rhubarb too. Elephant's Child; there are different types of rhubarb, ask at your local nursery what type would do best in your area. Or ask at the place you order your bulbs. My daughter has told me it will take a couple of years for my plants to get to a size where I can start cutting it for crumbles. 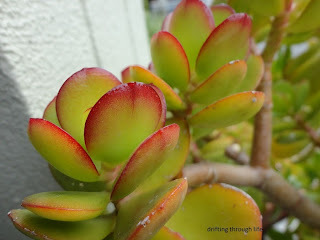 So that is the jade plant and it supposedly a lucky one to plant in different areas of the garden. That is not what I call jade. 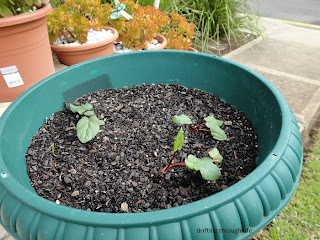 Ours has much smaller round dark green leaves and doesn't flower. I am sure we have several similar to yours, one of which in the front garden would be about 3x3feet. That is beautiful when it is covered in flowers. I will go take pictures of ours tomorrow so I can compare them with your photos. Thanks for sharing and perhaps clearing up something for me. Mimsie; I would say you have the small leaf jade. It doesn't flower. There are several varieties and I have no idea which is supposed to be the "lucky" one. 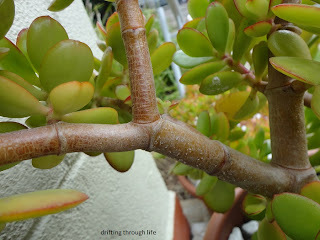 We had a jade plant. It grew well enough but would not flower. Friends had one the same and it used to get covered in flowers. We had a jade tree once. The stalks and leaves were very similar to yours. It flowered once; tiny white flowers. When it was twenty five or more years old we realized it might fit through the front door, and donated it to the Cleveland Botanical Gardens. I love jade and have two of them, one that is quite old and wooden, and another that was the offspring of the older one. Lovely! Thanks for a closer look at your plants. 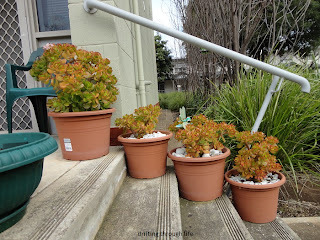 Would it be possible for you to fashion a windbreak of sorts to protect the jade on the lower steps? 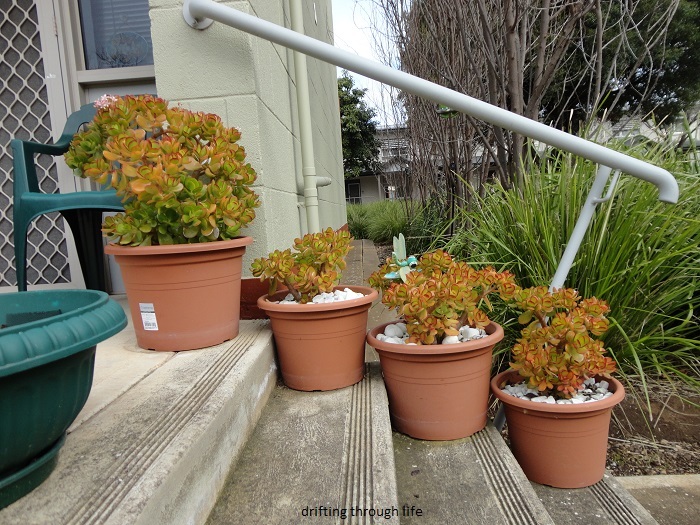 Andrew; they're a succulent so prefer warm spots and drier conditions, mine at the top of the steps is the only one that has flowered. It is sheltered by the house wall. Joanne Noragon; I've seen some with white flowers, but I prefer my pink one. I've donated plants too when they've become too big for me to handle. I call the local plant rescue people and they come and take them away to better homes. Pearl; are you able to move your jades? they love sunny spots with not too much water. I had a hoya once and plan to have another, They love to be potbound and kept on the dry side. The flowers are very pretty aren't they? 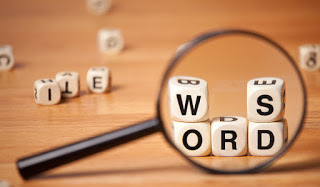 I have posted photos way back in the early days of the blog. A close by neighbour here has one. Susan; yes, I've thought of a windbreak, maybe a strip of bamboo fencing or similar, we can buy that here on a roll. I've got quite a few growing - they're nice.